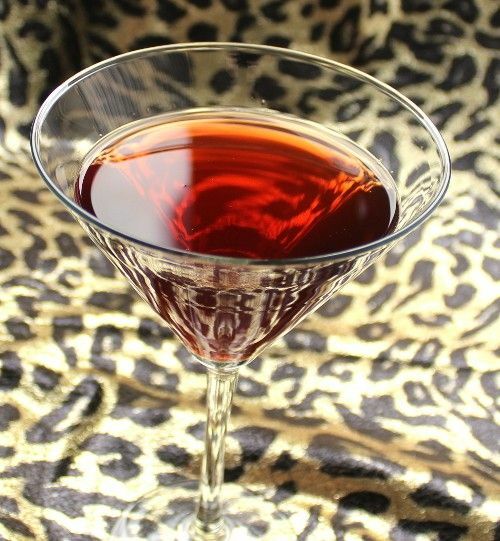 The Adonis Cocktail blends sweet vermouth with dry sherry, and then brings it all together with a dash of orange bitters. The overall flavor is wine-like, with that touch of spice from the orange bitters. This drink can be a nice change from wine. It can actually function like a red wine if you’re pairing it with a meal. That said, it doesn’t taste exactly like a red wine – just similar enough. Fill a mixing glass with ice and pour everything in. Stir and strain into a cocktail glass.